For anyone who has ever received a holiday gift that was so far off the mark, this one’s for you. 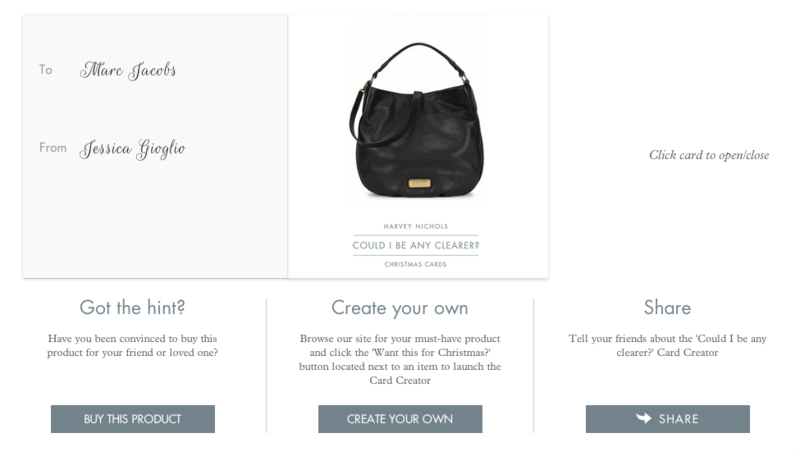 Inspired by “rubbish gifts,” UK-based luxury fashion retailer Harvey Nichols has launched a new campaign called, “Could I Be Any Clearer?” While the goal is to help its customers get exactly what they want, the campaign is a prime example of useful marketing. Click through and you’ll be presented with opportunities to personalize your card, from the design to the recipient and enter for a chance to win a £1,000 gift card. 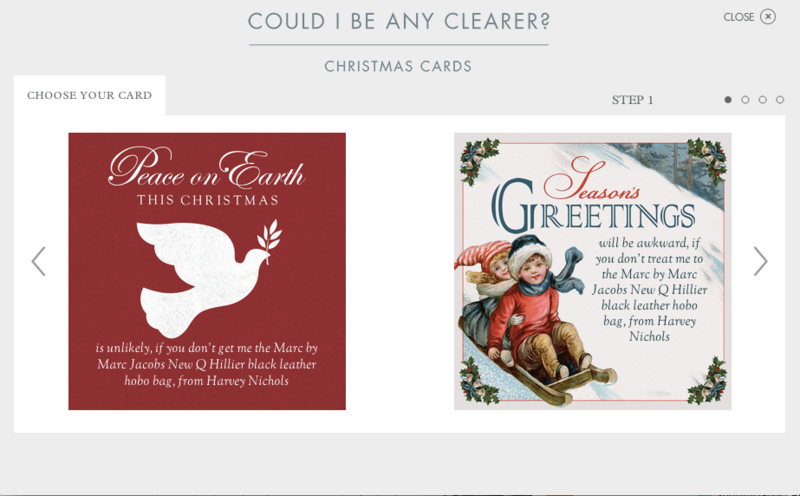 Once sent, the finished product arrives via e-mail to the recipient, where they can view the card and decide to take the hint. The end result is a humorous direct way for customers to communicate their wishlist to loved ones. The eCards are a bit naughty, but in a playful way. Offering a number of options also ensures that customers will find one to their taste, which for a luxury retailer, is of the utmost importance. 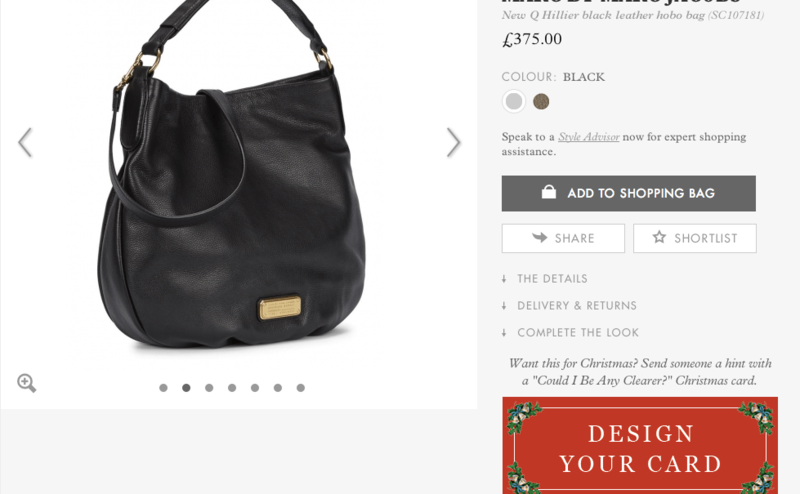 For Harvey Nichols, having the campaign live on its e-Commerce site offers a strategic way to measure the campaign end-to-end. From participation, to the most popular wishlist items, revenue generated and more, it’s a potential homerun for the eCommerce team if this boosts site traffic and revenue during the holiday season. Plus, the campaign will also provide new consumer e-mail addresses to reach out to in the future. From a social media perspective, it would be nice to see more of the campaign pulled into the retailer’s social media channels. There are so many story angles around the holiday shopping season, from awful or downright wacky holiday gifts, to gift giving guides and last-minute shopping to add longevity to the campaign. 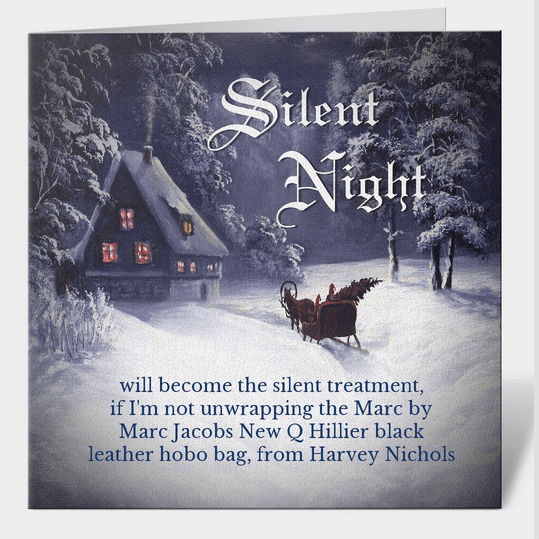 Inviting Harvey Nichols consumers to help co-create the content, from sharing their eCards, to worst gift stories, would be a good way to boost engagement and extend the conversation. Oh, and to Marc Jacobs. Feel free to tweet me for my address, should you get the hint ;)!